Realcomp II Ltd., a multiple listing organization in Farmington Hills, today announced it has signed a multi-year exclusive license with Remine to provide tax data across all counties in Michigan to power the RCO3 system. The long-term selection of Remine by Realcomp assists area real estate agents and brokers with providing home buyers and sellers with more data to assist with transactions. Realcomp has been utilizing Remine for collecting up-to-date summer and winter tax data since 2017. Realcomp, one of the first customers on the Remine platform, says it has achieved 40 percent activation levels in the first six months of deployment. “We are excited with the expansion of our relationship because it is a validation of our commitment to serve our MLS partners with the best technology and data,” says Jonathan Spinetto, COO and co-founder of Remine. Realcomp is Michigan’s largest multiple listing service, and serves more than 15,800 broker, agent, and appraiser customers in more than 2,400 offices across southeast Michigan. Remine is a real estate property intelligence platform for agents that is delivered exclusively through the MLS. 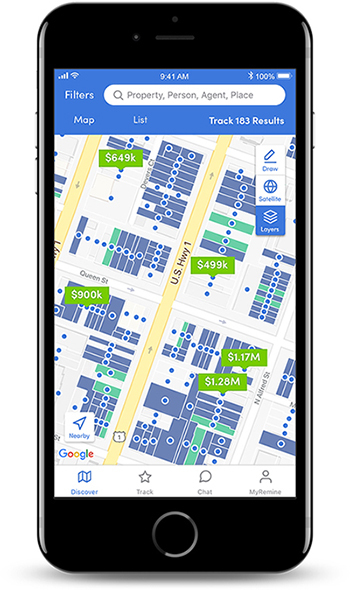 The platform analyzes property records, transactional history, and consumer data to deliver actionable insights to agents through an intuitive map-based user interface. Remine is available to every agent in more than 35 MLSs totaling nearly 750,000 members.